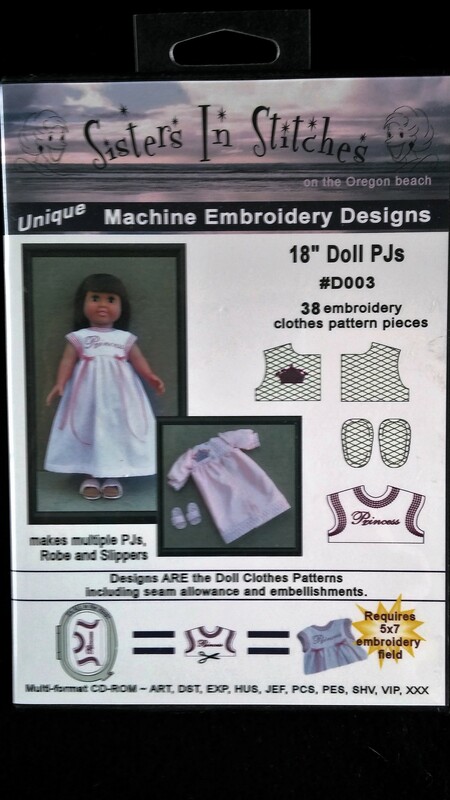 Unique Machine Embroidery Designs for `8" Doll PJs and Robe. Complete pattern pieces are stitched out in the hoop! The CD includes 28 embroidered pattern pieces and printable sewing instructions and color chart.